forlæns og baglæns bamse Another of the treasures that I found in my work at the US Baha’i National Center is the discovery of copies of maps that were probably created in the 1950s. 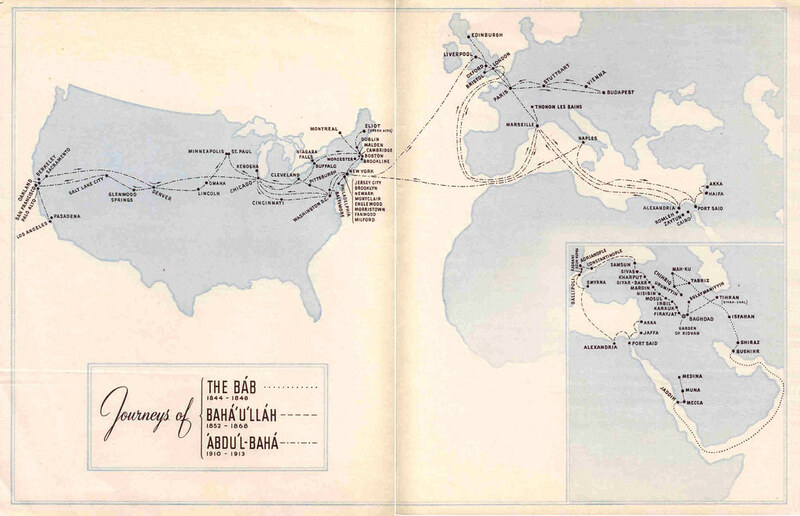 This one is a map of the travels of the Central Figures of the Baha’i Faith: The Bab, Baha’u’llah, and Abdu’l-Baha. stop saying yes visit First of all, I love the design from this era. The fonts and colors are all so appealing to me. The softness and elegance make you want to hang this on your wall. I am pretty sure that I have the original document lying around somewhere, and I’d love to get it framed and displayed someday. http://areaso.download/2018 historique annuel cac 40 Second, growing up as a child attending Baha’i children’s classes, we learned about Their travels but rarely had a visual to rely on. Especially one that showed all three at once. I would love to see a map of Shoghi Effendi’s travels too! http://todayif.life/2018/08 shock feeling in index finger This is great, I’d like to print this up, it’s a very clear reference, are there any restrictions on its use? Of course the lines themselves are not necessarily the routes taken, which might sound like a trivial observation but it’s not if a line implies that a Central Figure passed through your town.